Dr. Vinayak Aggarwal is a trusted Cardiologist in Sector-38, Gurgaon. He has over 25 years of experience as a Cardiologist. He is a D.N.B. (Cardiology) from Escorts Heart Institute & Research Centre, New Delhi in 2004, M.B.B.S from Maulana Azad Medical College,New Delhi in 1993 and M.D. (General Medicine) from University College of Medical Sciences, New Delhi in 1998. He has been awarded by Executive Committee of Indian Echocardiography, FACC Award and FASC Award. The doctor has a professional membership of Fellowship of the European Society of Cardiology (FESC). He grants most of his services like: Balloon Angioplasty Procedure Get Cost Estimate Angiography Procedure Get Cost Estimate Treatment of Hip Disorders Get Cost Estimate Prevention of Blockage, Atherosclerosis & Heart At, Heart Pacemaker, Stent Surgery, Bypass Surgery, Holistic Heart Wellness & Health Care - Ayurveda, Mitral Valve Replacement Surgery, Cerebral Palsy Treatment. He is currently associated withMedanta-The Medicity Rajeev Chowk, Gurgaon Sector-38. Landmark: Near Cafe Coffee Day, Gurgaon, Gurgaon, Medanta Hospital CH Baktawar Singh Road Landmark : Near Rajiv Chowk, Gurgaon, Medanta - Mediclinic Cybercity #10C Landmark : Upper Ground Floor, Gurgaon and Medanta The Medicity Gurugram Medanta The Medicity Sector - 38, Golf City, Gurugram. You can book an instant appointment online with Dr. Vinayak Aggarwal on Lybrate.com. Lybrate.com has top trusted Cardiologists from across India. You will find Cardiologists with more than 44 years of experience on Lybrate.com. You can find Cardiologists online in Gurgaon and from across India. View the profile of medical specialists and their reviews from other patients to make an informed decision. 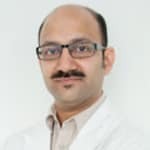 Dr. Vinayak Aggarwal is a trusted Cardiologist in Sector-38, Gurgaon. He has over 26 years of experience as a Cardiologist. He is a D.N.B. (Cardiology), M.B.B.S, M.D. (General Medicine) . He is currently associated with Medanta-The Medicity in Sector-38, Gurgaon. You can book an instant appointment online with Dr. Vinayak Aggarwal on Lybrate.com. Lybrate.com has top trusted Cardiologists from across India. You will find Cardiologists with more than 40 years of experience on Lybrate.com. You can find Cardiologists online in Gurgaon and from across India. View the profile of medical specialists and their reviews from other patients to make an informed decision. Actualy mjhe feel ho rha hai tht mjhe cholestrol ho gya hai me face pe linings pd rhi hai aur weakness feel ho rhi hai so please tell me kaise cholestrol khtm hoga by home made remedy? Try eatng lots of garlic. If you cant have it get it homeopathically allium sativum,(biochemic) nat phos. Avoid all types of fats and red meat. Requires detailed questioning so as to ascertain your personality and to treat you symptomatically. Treatment is available, safe and without side effects in biochemic system of medication. Consult me in private. Mujhe rat main sote huye saans lene main saans bhari or chest main jakdan feel hoti hai agar main levocast tablet loon to main 2 ya 3 din tak bilkul theek rheta hun. It means you have allergic brochitis. Check allergy test from endocrine lab. Ahemedabad inhalar also can help you. I am suffering from the problem of high blood sugar and high cholesterol. My weight is also increasing. So please suggest me the diet which best suits me. My blood sugar level is above 150mg/dL after breakfast. Mr. Lybrate-user, if you have diabetes t2, then it is essential to have good control of blood sugar, for that fasting should be near 100 mg, pp shoud be 150 to 160 mg (as you have now) and hba1c% < 6.8. Diet for a person with diabetes has to be very individualised, so I need to know present dietary habits, fasting sugar levels and hba1c% plus daily exercise level. In the mean time avoid sweets, direct sugar and gur, deep fried foods, junk foods and pastries. Consume more of green leafy vegetables, salads and permitted fruits. Also exercise regularly for at least 1 hour. Our is just about 20 kg/m2 which is in fact much lower than normal bmi of 23 kg/m2. I have been on medication Tazloc 40 for the past several years. My BP used to be stable 130/125 - 85/80 but of late My BP seems to be on higher especially the Dystolic is on higher side- 135/130 - 95/90. Further am also on medication for hypothyroidism on Thyronorm 50 mcg. Kindly advise. Hypothyroidism now a days is more an iodine deficiency disease, but it has become an autoimmune disease. In homoeopathy we give the medicine which makes the body generator ,an adequate thyroid level, so that gradually body resume it's original functionality which is visible through the thyroid level test time to time, and gradually you can get rid of your altroxin as well, and may be after sometime you can stop homoeopathy medicine as your thyroid level remains normal afterwards. Avoid cabbage, cauliflower, soya in food. Hi, Sir my hdl is 49 and total is 161 and vld is 25 than can we guess how much ldl in my blood. Sir Is there any formula jis se kuch sahi ho jaye Please help me for that. Your cholesterol levels are fine. When you get these reading, LDL is also included in the report. It cannot be guessed like this. But you do not seem to have any issue with cholesterol. So stop worrying. My Mother is approx 50 years old. She is hypertensive patient since last 10 year and regular takes Amlodipine+Atenolol tab OD in night & BP remain normal generally. She has also gastric problem and takes Rabeprazole+ Domperidone cap OD in morning empty stomach since last 8 years. Yesterday in noon she belches and during belching a mouthful blood came in her mouth. She spite it and washout mouth then nothing happened. Again today it repeated once in afternoon & mouthful blood came then normal. Pls give your advice. Please note hypertension is a lifestyle disease which is completely reversible without medications. Let me know the tests you have done so far and their results. Your diet history, family history stress history all needs to be known stop all dairy cut down salt sleep like a baby eat plant based products Cut down animal protein Take a consult if you want specific advise to reverse completely without any medications for blood pressure as well as any other lifestyle disease. For the second issue she must be having bleeding from a probable stomach or duodenal ulcer or erosions in the stomach so go to an Medical Gastro enterologist urgently in your city .She needs an endoscopy if you want specific advise take a consult Remember you cannot fix your health without fixing your diet. Hi, I have lower BP problem can you suggest me what will I do, so that this problem cured permanently. Any Ayurvedic medicine pl. Suggest. Thanks. Hi, Follow these tips to increase your blood pressure: 1. Increase intake of salt by adding salt to curds rice and taking pickles along with curds rice. 2. Drink plenty of fluids like Nimbu pani, tender coconut, water, buttermilk, fresh fruit juices,etc. 3.Drink hot coffee or tea when you feel dizzy. 4. Take sound sleep for 7-8 hours at night. 5. Avoid standing for too long hours. 6. Do yoga and meditation which helps to relieve mental stress and control emotions. 7. Avoid anxiety, stress and depression. 8. Perform regular exercises. 9. Consume lots of fresh green leafy vegatables, fruits, sprouts, high protein diet, etc. 10. Check your Hb% and BP with your family doctor and take their advise for further management. On my lipid profile check, it is revealed that I have total cholestrol level at 296. However, triglyceride is 144 within limits. Sugar level fasting-86 and pp-104 that also is within specified limit. All other parameters are ok. Please suggest me to deal with high cholestrol to bring this down. Further, I sometimes feel pressure on left side of chest above heart. Please advise me in right way. High cholesterol can cause atherosclerotic heart disease or narrowed coronary arteries in the heart can cause the symptoms of angina, when theheart muscle is not provided with enough oxygen to function. Decreased blood supply to the brain may be due to narrowed small arteries in the brain or because the larger carotidarteries in the neck may become blocked. This can result in a transient ischmic attack or stroke. Peripheral artery disease describes gradual narrowing of the arteries that supply the legs. During exercise , if the legs do not get enough blood supply, they can develop pain , called claudication . Other arteries in the body may also be affected by plaque buildup causing them to narrow, including the mesenteric arteries to the intestine and the renal arteries to the kidney. Avoid fast foods,oily foods,junk foods,alcohol,smoking,fatty foods, non-veg.,avoid stress, take omega-3 fatty meal or cap., take .green veg., whole grain.garlic,. Take anti cholesterol medicines . My heart rate is always 93 to 97 even resting while calculating through samsung s8 sensor. Is it bad becox normal 60 to 70 says? The normal is 60-90. And you should first get proper check up. And firnd out the reason then take any treatment if required.